We just finished a report for a new client who was paying employment taxes on $150,000. RCReports determines Reasonable Compensation for Closely-Held Business Owners. 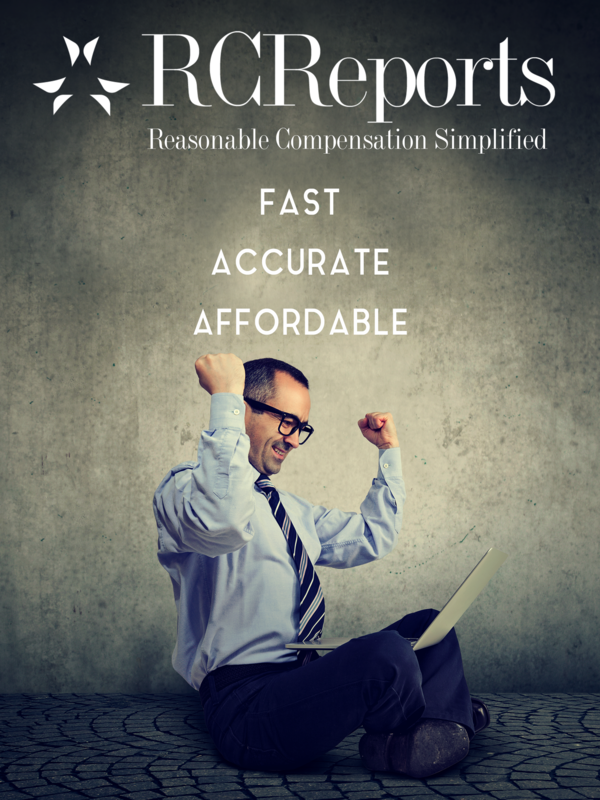 RCReports is a tool used by CPA’s, EA’s, Tax Advisors, Valuators, Forensic Accountants and Attorneys when they need to determine a Reasonable Compensation figure for a client. Whether for Tax Compliance, Normalization or Planning, RCReports has the report and approach to fit your need. RCReports synthesizes a proprietary blend of IRS criteria, court rulings, geographic data and its EXCLUSIVE database of wages to accurately and objectively determine Reasonable Compensation for Closely-Held Business Owners. All Reasonable Compensation Reports deliver an Independent Unbiased Reasonable Compensation figure that can be relied on in IRS examinations and Litigation. Knowing a Reasonable Compensation figure is only half the equation. Putting it into context for the taxpayer or business owner is your role, as the Trusted Advisor. RCReports is built for you. Save clients money . . .
guarantee tax compliance . . .
make your job easier . . .